The first round of Redline Time Attack started the season off at the mecca of Time Attack in the US, Buttonwillow Raceway Park (BRP). This is an iconic track, and it is the ultimate measure of your car. 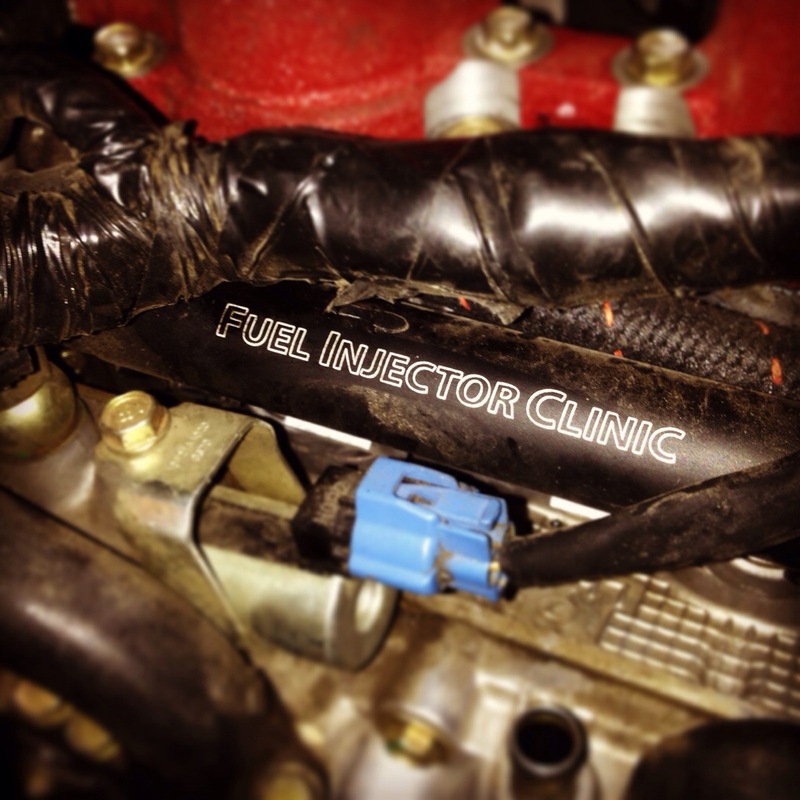 Luckily, Honey Badger just recently underwent an E85 conversion thanks to Yimi Sport Tuning and Fuel Injector Clinic. And, since the 2006 STI comes with side feed injectors, we also did a top feed conversion with new fuel rails from Fuel Injector Clinic. With these slight modifications, Yimi Sport’s head Tuner Paul Leung was able to produce 357hp out of the stock turbo, compared to the 327 hp produced from 100 octane. With all the upgrades and maintenance complete, it was time to start practice on Saturday. 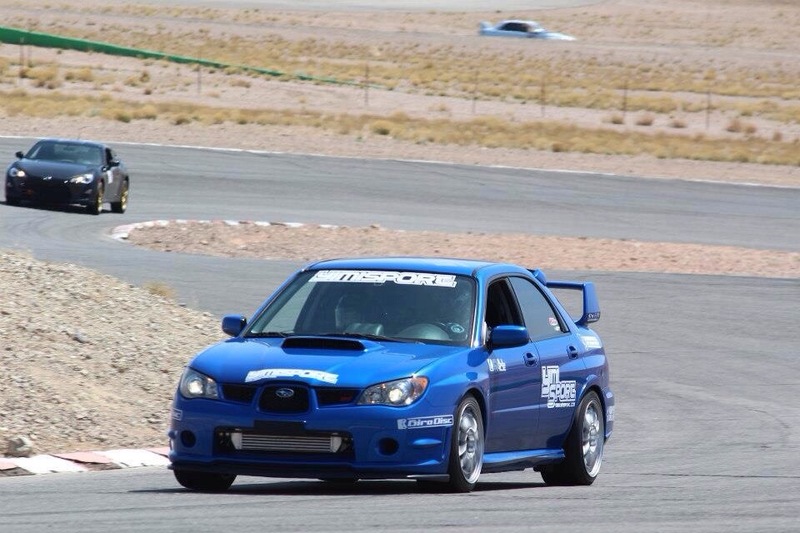 Unfortunately, in an effort to get the car to have less of the STI’s natural understeer characteristic, I ended up getting too loose in Riverside and spinning the car 180 degrees and hitting the dirt sideways luckily using my Girodisc 2pc rotors to slow me down as soon as possible. This led to tweaking a rim and breaking a wheel stud. Due to the Redline rules, we had to replace the wheel stud in order to compete on Sunday. So, we sat out the rest of the day and worked on fixing the car and getting it prepped. With the car ready for Sunday, I got my mindset into race mode and as the first Time Attack session was called to grid, I strapped in. Redline Time Attack has two Time Attack sessions throughout the day, and all other run groups are practice/qualifying, which means that there is a premium on those sessions and the pressure involved is intense. This form of pressure separates the wannabes from the winners, showing who can perform when the pressure is on. With a new set of tires and rims on the car and a few other suspension tweaks from Ken Kasitz of Koherent Chassis Workz, the car felt amazing and I was able to complete a 1:59.383 lap. This put our team in the top position, although John Carson ran a 1:59.409 in his Evo 9. Feeling that pressure from John meant that I knew I had to go faster in the last Time Attack session. With a few tire pressure adjustments, I strapped in and readied for the last session, this time I pushed the car even harder to the last edge of its grip and was able to almost cut 1 second from my time with a 1:58.420. This was fortunate, because John pushed his car to a 1:58.650. My time was also good enough for the fastest time in Street Class Overall, barely beating out Ken Suen with his Civic (Big Red) and Mike Tsay with his S2000. With spectacular finishes like that how could you not love this sport! 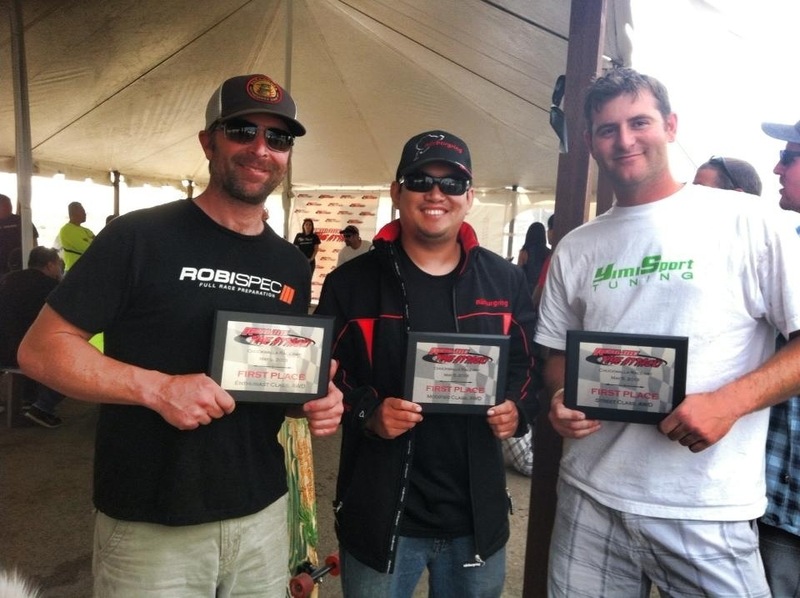 Round #2 of Redline Time Attack was held at Willow Springs International Raceway (WSIR). Prior to this event, Honey Badger went through another transformation where she received: a Borg Warner EFR 6258, Vibrant Front Mount Intercooler, Full-Race Uppipe, custom cold air intake and reversed the intake manifold. 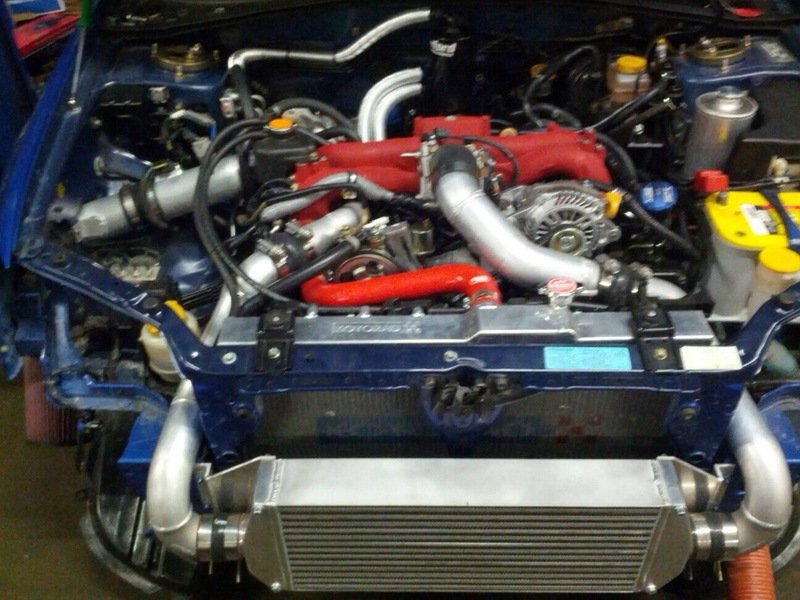 With these upgrades, expert tuner Paul Leung of Yimi Sport Tuning was able to extract 427hp from the car. The added power required some time to get used to, in addition to finding the groove with the car and ensure braking zones and turn in points were adequate. During the practice sessions the car was feeling good so only a small change was needed in the rear dampening, which is a testament to the chassis setup from Koherent Chassis Workz. In the first Time Attack session, I was able to achieve a 1:29.34. Since I was only on street tires and stock aero, I was ecstatic with this time and put my thoughts to the WSIR Street Tire Time Attack record of 1:28.7. Suited up and ready for the second TA session, my hopes were set on breaking the record. But, alas, it was not in cards, and the majority of people in the field went slower. Although I was unable to break the record, I was able to secure a 1st Place finish in AWD Street Class and Street Class Overall. FWD Class was dominated by Ken Suen with Big Red running 1:32.298 and Len Novak and his 350Z with a 1:33.538. The 3rd round of Redline Time Attack had us at Chuckwalla Valley Raceway, my first time ever being at this track. CVR is very interesting and it has many tricks to learn. This is compounded by the fact it is placed in a very remote location, which always presents an extra challenge. An additional “new” factor, was the addition of a front splitter courtesy of Yimi Sport Tuning, and an APR rear wing element. This added level of downforce was something that I had never experienced, and it took a significant amount of effort to understand and fine tune. After spending all day Saturday learning the track and trying to hone in the suspension, I was set for Sunday’s Time Attack event. We tried to control our variables as much as possible and make minor changes, due to the brand new track being a large hurdle in itself for a driver to overcome. Once again, my rival John Carson was pushing, which in turn was making me work for the victory. After the first Session, he was in the lead by a small margin. This lead me to question if it was smart to change the setup on the car as much as we did before this event, but the team pulled together and went to work. We evaluated video, data, and made slight changes to the setup. This amount of effort was tested on the final Time Attack session of the day and with John in front of me in grid, the pressure was on. I went into full race mode and set my concentration level to the highest that I could muster. Wearing a fire suit and being strapped into a car was something that could easily break your concentration as it was over 100 degrees and much hotter than that within the car. I pulled out of the hot pits and started to warm the tires. Instantly, I was grateful to my team for what they had delivered and I knew that the session was going to be something to watch. The car pulled hard and had a touch of oversteer, making it amazing to drive. With this, I was able to push to a 1:59.781, making myself the only street class car in the field under the 2 minute mark. I was extremely happy with the outcome and was excited to come home again with 1st place in AWD Street Class. Additionally, I had earned the title of Overall Street Class Champion and also set the record for AWD Street Class and Street Class Overall. Stay tuned for the second edition of RTA 2013 Season in Review. 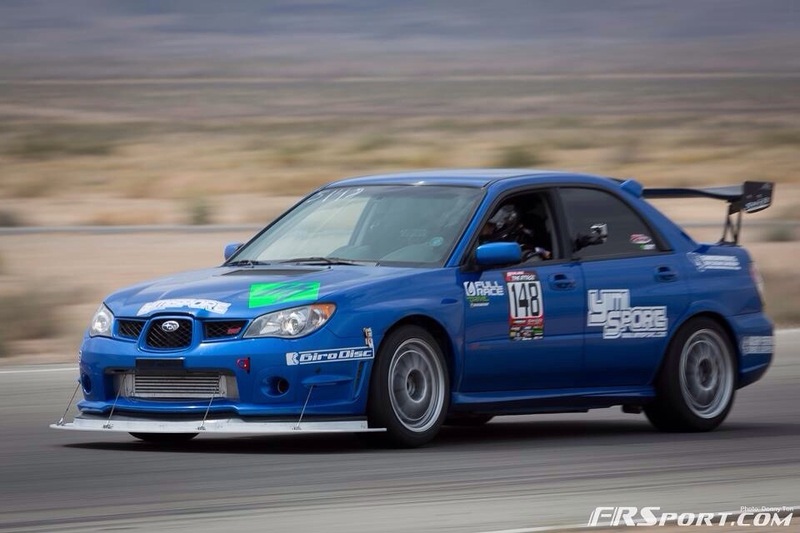 This entry was posted in Redline Time Attack 2013 review and tagged 2013, attack, buttonwillow, chuckwalla, Jager, mark, raceway, racing, redline, springs, sti, subaru, subie, time, valley, willow. Bookmark the permalink.